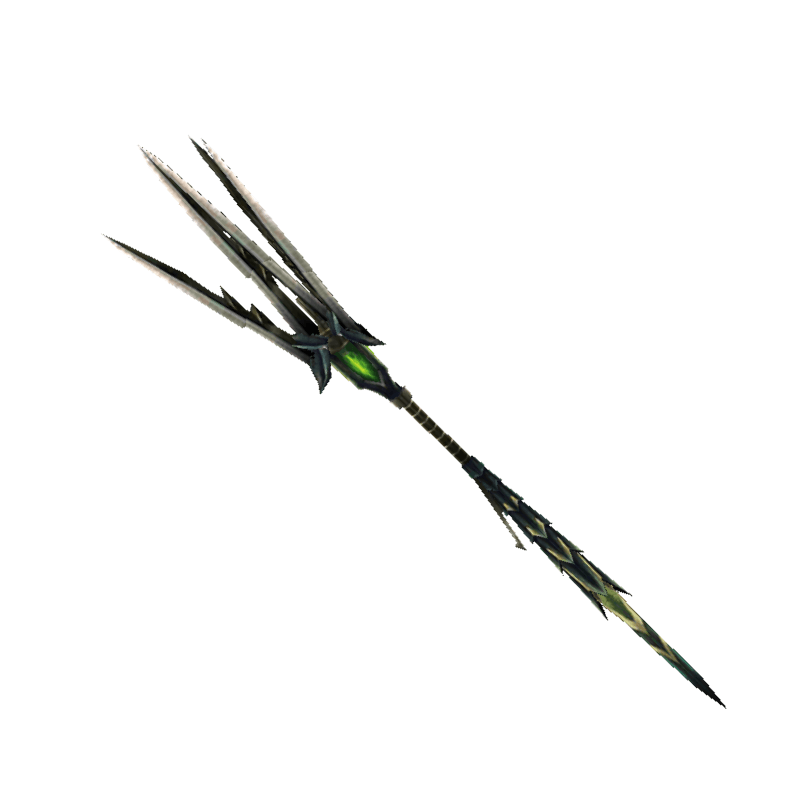 A glaive made from materials of the brutal Astalos. Powerful lightning eliminates its prey. / The Astalos Cudgel's final form. The green blade blazes bright with lightning before it strikes.